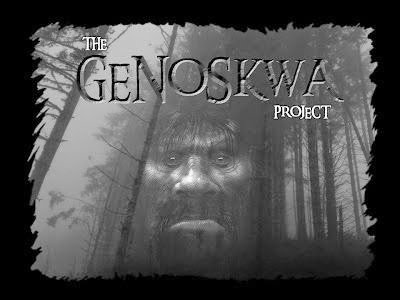 This Saturday is a a big day for The Genoskwa Project. Members Dan Baker and Paul Hayes will be speaking and interacting with local residents at the Leetonia Public Library. If you are out in that area I suggest you check it out. Researchers from Ohio’s Genoskwa Project, a Bigfoot research group, will host an information session in the community room of the Leetonia Community Public Library, 181 N. Walnut St., at 11 a.m. Saturday. The researchers hope to address the four reported Bigfoot sightings that have occurred in northern Columbiana County this year and hear from residents who may have had personal experiences. Two additional sightings have occurred this year in Carroll County and Stark County. Sightings have occurred in Columbiana County near Franklin Square as recently as July 7, and the researchers from the Genoskwa Project are interested in firsthand accounts so they potentially can focus field research in the area. Dan Baker, one of the founders of the group, emphasizes that the group wants to create a positive atmosphere where the public can learn more about Bigfoot and share their experiences without persecution. The presentation will include audio footage as well as plaster foot casts and firsthand experiences from the researchers.